Blind Items, Source Stories, & Irresponsible Reporting: The Indian Media makes a mockery of Bollywood’s #MeToo Movement? 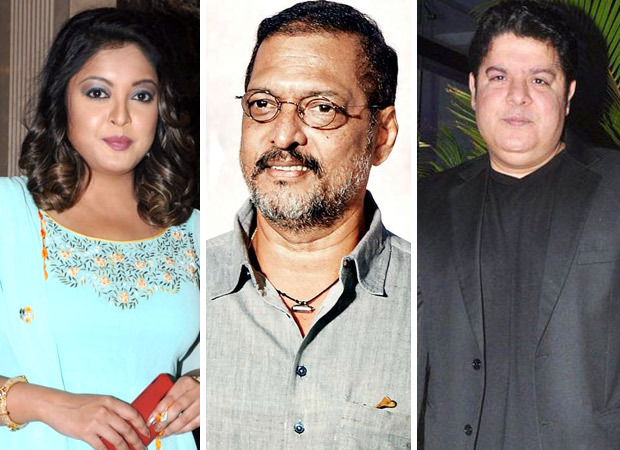 Tanushree Dutta’s allegation of sexual harassment on Nana Patekar resulting in the inception of Bollywood’s #MeToo movement wherein women opened about the harassment that they faced during their struggle to make a name in the industry. Renowned names from the industry, like Sajid Khan, Subhash Ghai, Anu Malik, Aloknath, Vikas Bahl, Mukesh Chhabra, Dibakar Banerjee, Ashish Patil, Anirban Das, and Vipul Shah have been alleged of forcing themselves on women at some point of their career and even got punished for their action. The #MeToo movement gave an opportunity to the victims of sexual harassment to open up, and let the world know about the horrifying experience that they had to face. Given the seriousness of this entire movement, one would expect the media to tackle it with maturity given the fact that one false allegation can put a dent on an innocent person’s image and personality. But alas, it seems that it was too much to expect from the media. Instead of reporting the stance of the victim and following up with the legal action taken by either of the two parties, most of the media houses decided to sensationalise the issue. Rather than supporting the victims, the media went to several film events to force the celebrities not even remotely related to the issue to answer the questions taking the #MeToo Movement. Classic example being Amitabh Bachchan and Aamir Khan being questioned at the Thugs of Hindostan trailer launch event. Rather than writing about the existence of casting couch and sexual harassment in our industry, the media chose to write about how the stars shied away from answering their questions. Most of the big stars didn’t react to the question out of the fear of getting misquoted by them, as they have faced the brunt in the past. The stars in today’s time would of course prefer to tweet their opinion rather than speaking to the media, as that would leave no ground to stir controversy. If getting a byte from the stars was not enough, the media went ahead to sensationalise it further by coming up with several blind stories about the stalwarts of industry. The obvious targets for the media in the blind items were Salman Khan and Akshay Kumar who have been in the news several times in the past owing to their link-ups with few of the most beautiful Bollywood actresses. The media didn’t seem to know that having a link-up or an affair does not really mean “sexual harassment” and if at all it has happened, it is the victim who has to speak about it and not the “sources” close to them. It’s outright unethical to tarnish the image of the stars by churning out such articles, which cannot be independently verified by any person. And well as Rajkumar Hirani showed us in Sanju – “Who the hell are these sources who seem to know more about the stars than the stars themselves?” By using a “question mark” at the end of their headline, the media has time and again manipulated the readers and tainted the image of several stars. Apart from this, the media also came up with several articles based on “source quotes” wherein the “source” spoke about how the actor/director/producer in question harassed the leading lady of the film. But well, never did any actress come out to validate the articles written by the media based on “source quote”. Worse than the articles based on source are the blind items which often spoke about how this big producer/actor/director is soon in the list to be exposed next as a particular actress has decided to speak about her horrifying experiences with the media soon. But well, just like the articles based on the source quotes, no actress ever came out to expose about the big producer/actor/director. The above-mentioned articles created a tremendous amount of negativity on social media platforms like Twitter, Facebook etc. as the manner in which they were written clearly gave hint about the person who apparently has been into the heinous activity. The articles also resulted in fan-wars on the social media platforms, wherein random articles were used as per the suitable agenda of people digitally. Although we don’t claim Sushant Singh Rajput to be a saint (no one really is a saint in the world), a recent article that went viral spoke about how Twitter has taken away the verified badge from his account following a sexual harassment complaint. 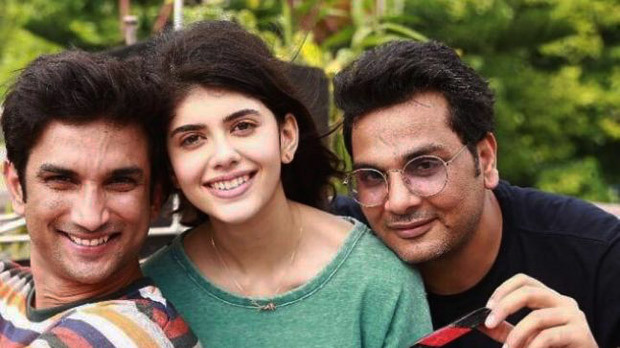 The source also quoted about how Rajput misbehaved with Sanjana Sanghi on the sets of Kizie Aur Manny following which the actor cleared all the allegations on Twitter by sharing screenshots of his chat with the actress. “I feel sad to reveal personal information but it seems that there is no other way to state what was, in the midst of this curated and well timed smear campaign. From the first till the last day of the shoot, this is what happened on the set with Sanjana. And for all those deliberately using the missing of Twitter ‘blue tick’ to substantiate their false claims, allow me to tell you that it is not there since 5th of September. Get your facts checked before jumping to conclusions that you so eagerly want to,” tweeted the actor, thereby putting an end to all the speculations by the media. Though Rajput might have his own share of controversies with-in the industry, the notorious minds of journalists directly putting an allegation of forcing himself on Sanjana, who is a debutante, doesn’t seem believable given the fact that girl is question too rubbished the reports of the media on Twitter. The debutante denied any such mishap on the sets of Kizie Aur Manny, and revealed that Sushant Singh Rajput never misbehaved with her on the film sets. The one’s on social media passing a judgement on the actor’s character based on a “source” is nothing but foolish.